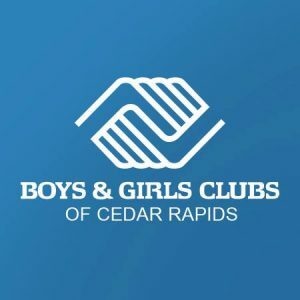 As a United Way funded partner, Boys & Girls Club of Cedar Rapids works to move kids from good to great. Their primary after-school services focus on youth from economically disadvantaged households so they gain and maintain skills vital to succeeding in life. The Club works to instill a sense of competency, empowerment, usefulness, and belonging in members through fun and diverse education programming. Below is one of the success stories from our partnership. Boys & Girls Club: We fight for children who need extra care. Willie, an eight-year-old student at Garfield Elementary, has attended Boys & Girls Club of Cedar Rapids for four years. Now, Willie is a fun-loving, silly young man! However, his journey has not been an easy one. During the last two years, he struggled to maintain good behavior and faced many struggles at home, school, and the Club. Often, his bad behavior sent him to the behavioral modification area at school and he even risked termination from our after school activities. Although the school tried endless behavioral charts and incentives to help improve his behavior, nothing seemed to work.